The competition runs from the first Saturday of October through until finals at the start of March and clubs are always looking to recruit new players. The Association was established in 1978 as an alternative for players to the ACTCA (Australian Capital Territory Cricket Association-District Competition). The Association conducts the Men's Hard Wicket Cricket Competition in the ACT. With around 40 teams from 20 clubs competing in 5 Grades on Saturday afternoons, it is one of the premier Hard Wicket Competitions outside of Sydney. The Competition is played on a One Day basis (45 overs per side), using Test Match Rules. A friendly, multicultural team now actively looking to recruit new players of all ages and skill levels! Across our proud 12-year history, the team has won several premierships in different grades and supports a mix of all player skill levels beginner to veteran. The team caters to different playing availabilities from part time to full time players and offers low registration fees. If you are looking to join a cricket club, we have open training sessions on Wednesday afternoons, so drop us a line and come and train with us! Our contact details are under "Find a Club" on the website. Barton Cricket Club is one of the oldest City and Suburban clubs, having been formed in 1983. It has won premierships across the grades and is currently fielding three teams in the competition. The club trains once a week (day to be confirmed) at Reid (5:30pm-7:00pm). We know people are busy these days and training is not compulsory for selection. We encourage junior cricketers that do not want to play turf to join us (we offer discounted fees) and we cater for all abilities: top cricketers to someone that just wants to have a hit on the weekend. Female players willing to play in men’s teams are welcome. Players can play on a full time, part time or casual basis. Your choice! The club is proudly sponsored by the Civic Pub in Lonsdale St Braddon. The Civic Pub is very generous in their sponsorship and we are proud to say we reckon we have the cheapest registration fees in the competition. 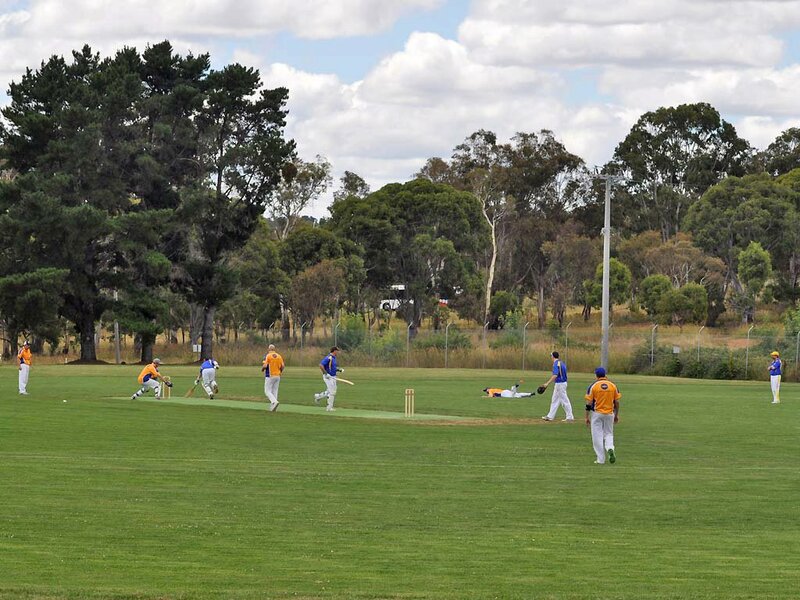 Canberra City Cricket Club boasts four teams in the competition across the majority of grades. The club trains once a week from 5.30pm - 7pm in Red Hill and plays its home matches in the inner north in Canberra. The club bases itself out of The RUC in Turner, offering players a great venue to unwind after an afternoon of cricket. Proud of its multicultural heritage, the Canberra Gymkhana Cricket Club (CGCC) offers a friendly place to pursue your passion for cricket. The term Gymkhana is an Anglo-Indian expression referring to a place where people gathered to socialise and play sport. Recently founded in 2015 the club has had immediate success with its teams making the finals each year. We have optional training on Canberra’s Northside but we don’t take it too seriously, new teammates are always welcome and we look forward to hearing from you. We are one of the foundation clubs of the CCSCA and we are supporting our new club sponsor the RUC in turner. We are a family orientated club with a great family environment, we have great functions for the whole family, we train once a week from 5pm until dark. We have 4 teams every year competing in a very large competition, and are the current Club Champions. If you want to turn up every week and play competitive cricket without all the time commitments come and join us and have a laugh. Bleed red and black! Lions Cricket Canberra is a registered not-for-profit sports and recreational entity with a passion for cricket. Please make contact with Damian - 0433028403 - if you are interested in playing competitive cricket with a bunch of guys from diverse backgrounds and enjoy a curry with beers. We train one night a week (usually Tuesday) from 5pm - 7pm and play on Saturday from 12pm - 6pm. Our major sponsor is the Durham Castle Arms Pub in Green Square Kingston, where we catch up for beers and meals on a regular basis. We look forward to welcoming you as a new teammate on the field this coming season. STC Pumas Cricket Clubis one of only 2 foundation clubs in the competition. Established in 1975 we have won a total of 22 premierships in those years, including 11 first grade premierships. We cater for a range of skills by offering multiple grades. Our fee structure also caters for Juniors and we encourage any junior not wanting to play grade cricket to contact us. We offer a non-compulsory training session in Waramanga each Wednesday afternoon during cricket season for practice. Visit www.stcpumas.com for more information. We are actively recruiting and boast exceptional playing rates - $200 will get you as many games as you want, plus a playing shirt! We also offer cheaper playing options for those who want to play less, and a youth discount for under 18s. We have two teams – one in second/third grade (home ground: Isabella Plains) and one in fifth grade (home ground: Woden). Follow the link to register https://www.playcricket.com.au/club-finder/club-details?id=27119 or email us woodduckscc@outlook.com if you have any queries.